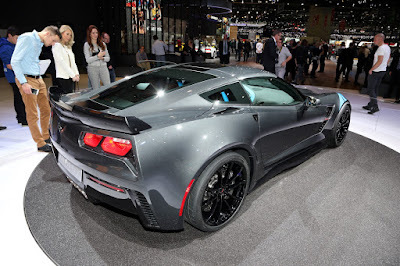 Corvette Grand Sport has been released at the Geneva Motor Show 2016. Its appearance really shocked the public with an aggressive design compared than its predecessor. 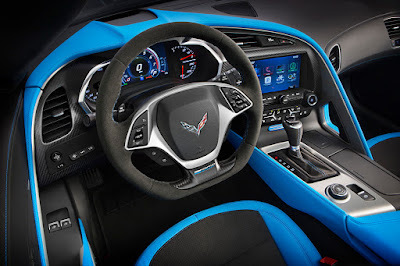 Corvette Grand Sport increasingly look fierce with cool chassis, improved cooling system, and adopted the Corvette Z06 technology. They all belong and be reborn as a Corvette Grand Sport. Not quite there, the car's added an optional ZO7 performance that makes 'new weapon' with a LT1 V8 ZO6 powertrain that could burst the power up to 460 hp. 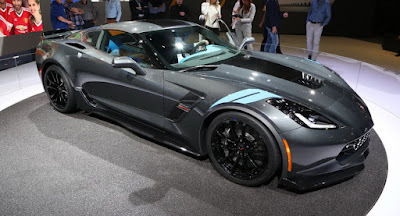 This car has a 1 second faster than its predecessor on the track, the Corvette ZR1. "We can not resist the latest Grand Sport," said Tadge Juechter, Corvette chief engineer as quoted of Carscoops on March 3, 2016. "For the first time, the buyers can complete the Grand Sport with the Z07 performance package, adding carbon brakes, the Michelin Sport Cup 2 tires, and a carbon fiber aero package that provides perfect downforce," said Juechter further. This car will be available with a 7-speed for the manual transmission. While for automatic variants using the 8-speed. Unfortunately there is no information when this car will enter mass production lines and entered the automotive market.